Though one sits on the southern end of the Arabian Peninsula and the other is a landlocked country in northeastern Africa, Yemen and South Sudan share an unfathomable reality: millions of their people are at risk of starvation. The tragedy is man-made—a consequence of years of conflict. For some people, the worst has already struck. In late February famine was declared in northern-central parts of the country. Now, a month later, aid groups are racing against time to save lives as the rainy season approaches. When the rains begin in April or May, conditions will become even more difficult for the people in need and for the humanitarian groups trying to reach them. Flooding makes roads and airstrips impassable and can cause a rise in cholera and other water-borne diseases. 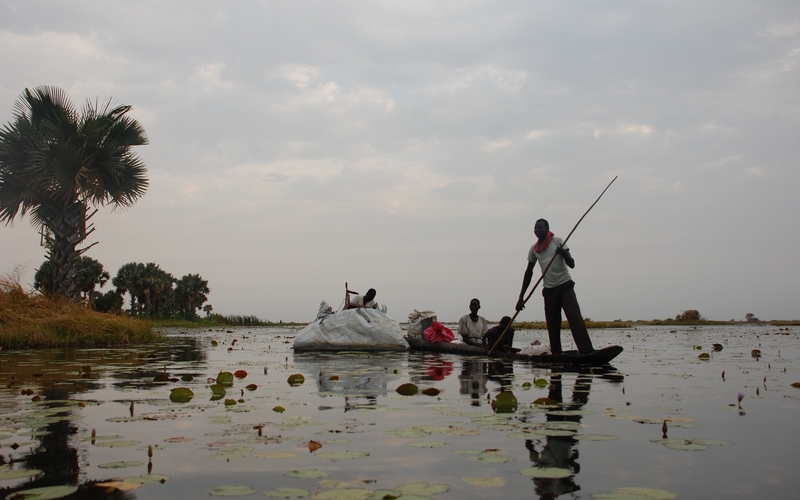 Fighting has driven countless families from their homes and in southern Unity State, many people have sought shelter on islands in swampy areas of Nyal in Panyijar County. The rain is only going to isolate them further. On some of the larger islands in Nyal, Oxfam has been able to dig wells and build latrines, but many of the other islands are remote and hard to reach. The ongoing conflict has left 7.5 million people in need of humanitarian assistance, and half the country’s population is expected to be affected by extreme hunger by July, if they don’t receive help now. Oxfam is calling for more funding to help reach people before it’s too late. We have been distributing food to more than 415,000 people as well as providing more than 140,000 people clean water and sanitation services—both essential to keeping people healthy and famine at bay. 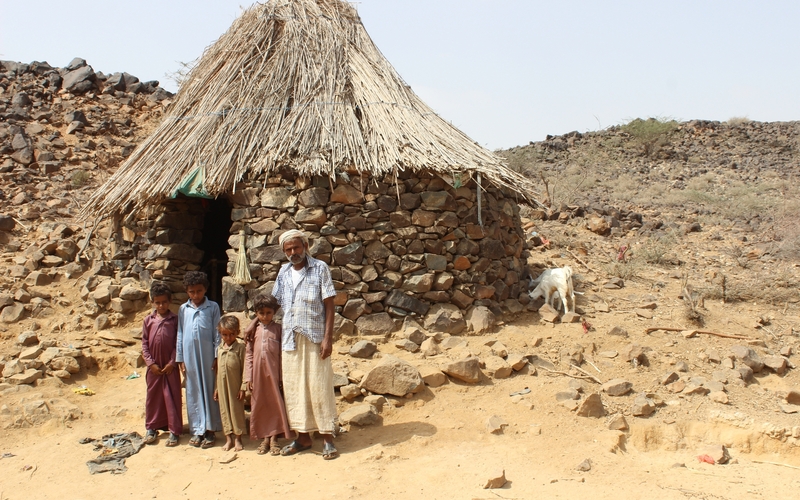 In Yemen, conflict has caused profound suffering. Nearly 70 percent of the population needs humanitarian aid and seven million people have been pushed to the brink of starvation. Ports, roads and bridges, along with warehouses, farms and markets have been regularly destroyed by the Saudi-led coalition, draining the country’s food stocks. The Houthi-led authority is delaying the delivery of life-saving relief, and sometimes detaining aid workers. This, coupled with a flattened economy, has created an abyss of hunger and led 6.8 million people on the brink of famine. One man, Rabii, who fled the fighting with his wife and 11 children, told Oxfam that he has been living in a hut exposed to the elements for two years. Without a source of income, he can’t buy food or medicine for his children. Because of the fighting, many farmers can’t get the seeds, fertilizer and fuel for the irrigation they need to grow their crops. As a direct result of the war, cereal production has plunged by 37 percent since 2015. Before the conflict, about 90 percent of Yemen’s food had to be imported. 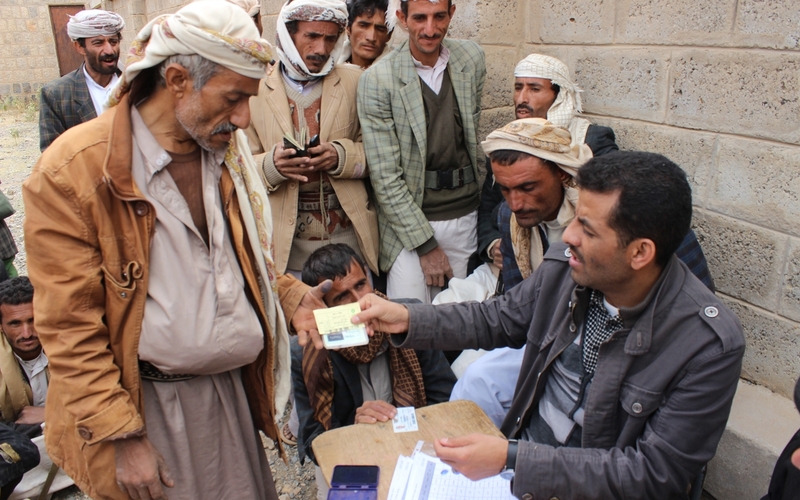 The fighting has caused a massive disruption in that process, and when food does reach the shops, many Yemenis can’t afford to buy what they need to ensure their family’s wellbeing. The economy has been decimated. Among those struggling is Yahya, a 45-year-old retired soldier who used to work on farms in the northern part of the country. As food prices climbed, his pension was no longer enough to feed his children. “I haven’t received my pension for three months now,” he said, noting that he occasionally finds work on farms during the rainy season but the amount he earns—about $6 a day—makes it hard to cover his family’s food needs. Since July of 2015, Oxfam has reached more than a million people with water and sanitation services, cash assistance, food vouchers and other essential aid. We are urging the UN Secretary General to pressure all parties to the conflict to resume peace talks, to reach a negotiated peace agreement and improve the economic situation in the country. The world stands on the brink of an unprecedented four famines in 2017, with 20 million people at risk of starvation across South Sudan, Yemen, Nigeria, and Somalia. Help us provide families with desperately needed food, clean drinking water, and sanitation.